Unexpectedly great taste your family will absolutely love! No fishy burps or nasty after-taste! Jam-packed with over 1400 mg of Omega 3s, along with extra special Astaxanthin and Curcumin! Absorbs 3x faster than regular fish oil! One 16 ounce bottle of Triple Power contains 29 servings of one tablespoon each. Each batch of Triple Power Omega 3 Fish Oil exceeds the strictest international standards for purity and freshness. It is third party tested for environmental toxins including heavy metals, dioxins, PCBs and more. Certificates of Analysis are available upon request. Suggested Use: Adults take 1 tablespoon daily with food for maintenance, or 2 tablespoons daily to increase blood omega levels. Consult your pediatrician to obtain suggested dose for children. Ingredients: Water, fish oil (Anchovy, Sardine and/or Mackerel), xylitol, glycerine, natural flavors, gum arabic, citric acid, xanthan gum, antioxidant blend (natural mixed tocopherols, rosemary extract, ascorbyl palmitate, and green tea extract), guar gum, and sorbic acid. Adults take 1 tablespoon daily for maintenance, with or without food. To increase your cellular omega 3 levels it is advisable to double dose for 90 days. In fact, you are guaranteed to increase your cellular omega 3 blood levels when you take our “90 Day Oil Change” challenge. Details are found in the “Triple Guaranteed” section below. Consult your pediatrician for suggested dose for children. Our 1 Year Money Back Guarantee either leaves you 100% satisfied, or you get your money back. Period. That’s why we give you a full year to test drive all our products and superior service! If you find yourself dissatisfied simply contact us to obtain a Return Merchandise Authorization (RMA) number, and return your unused or partially used bottles of AlgaeCal products for a 100% refund within 1 year from your purchase date. Triple Power Omega 3 Fish Oil is a revolutionary all-in-one formula. It helps support the body’s normal, healthy inflammatory response while providing protection from oxidation. The three active ingredients protect every cell in your body from free radical damage. This formula is about synergy. Astaxanthin and curcumin are best absorbed when taken with fats such as those found in fish oil. In turn, these two potent antioxidants help keep the fish oil from oxidizing in the body. Triple Power Omega 3 Fish Oil is concentrated, delivering 750mg of EPA and 450mg of DHA in each great tasting tablespoon…plus 280mg of other healthy omega 3s. Many fish oils only provide about 300 mg of combined DHA and EPA per capsule. To get the same 1200mg of EPA and DHA as in Triple Power, you’d have to swallow four pills per day! Our fish oil is even stronger than the high EPA/DHA levels suggest. How is that possible? Triple Power is an emulsion, which means it is 300% better absorbed than standard fish oils. Because emulsified oil molecules are structurally different from standard fish oil molecules, more of the molecule surface is exposed to gastric enzymes. That means it’s digested and metabolized more quickly and completely. A recent clinical study published in the journal of the American Dietetic Association compared the two; emulsified fish oil was the clear winner. What are two of the most common complaints about fish oil? Fishy taste and fish burps. Both these problems equal less than fresh fish oil. Rancid fish oil can be disguised by using enteric coated capsules, which enable the fish oil to pass through the stomach and reach the intestines before dissolving. With Triple Power Omega 3, you won’t have cause for complaint. Here’s why: we have no need to hide our fish oil in a capsule. Mango flavored Triple Power Omega 3 is so fresh and delicious you can take it right off the spoon. Our Fish oil is harvested from fresh sardines, anchovies, and mackerel in near-to-shore fisheries. Then it is processed immediately to preserve the delicate oils. The synergistic power of astaxanthin and curcumin helps to keep the oil stable so that it doesn’t oxidize causing you more harm than good. It’s naturally flavored with mango and sweetened with xylitol, a natural fruit sugar, making it taste like our favorite candy. You will literally crave your fish oil! We use only pharmaceutical grade, triglyceride-form fish oil, molecularly distilled for purity. You get 1480 mg of omega 3s in every delicious tablespoon. The difference is in the processing. Our fresh wild anchovies, sardines, and mackerel are sourced from local, small fisheries in the cold pacific waters near Peru so they come in fresh every day for immediate processing. Because they’re smaller fish, they’re lower on the food chain. That means lower heavy metals than oils from bigger fish. To further purify the fish oil, it is molecularly distilled. We only bottle in small batches to ensure the best possible quality control and the freshest possible oil. To prevent oxidation both in the bottle and in your body (which can cause free radical damage), we take extra steps. We add two potent antioxidants, curcumin and astaxanthin, which help to keep the fish oil fresh and prevent oxidation. Every bottle is then nitrogen flushed to remove all the oxygen, so there is no possibility for oxidation to occur. Astaxanthin is a naturally occurring carotenoid, that occurs in microalga. As it is consumed up the food chain, it gives shrimp, salmon, and flamingos their bright pink color. It’s also one of nature’s most powerful antioxidants, with wide-ranging health benefits. It helps to support a normal inflammatory response in healthy people. At the same time, it helps to protect every cell and tissue from free radical damage. This power antioxidant does all kinds of good things for your body. It supports heart health, promotes bone health, aids in joint health, helps strength, stamina, endurance, promotes faster recovery from exercise and helps reduce temporary joint and muscle soreness after a vigorous workout. There are over 700 known carotenoids; astaxanthin is believed to be one of the strongest and most beneficial. We use only naturally occurring astaxanthin from microalgae haematococcus pluvailis, not cheap synthetic imitations. Astaxanthin is oil soluble, making fish oil an ideal nutrient companion. Curcumin is a powerful compound found in turmeric root. Turmeric has been used as a spice for millennia. And the curcuminoids found in turmeric are known for their positive impact on health. It is standardized to 95% curcuminoids, providing concentrated, powerful antioxidant protection and a healthy inflammatory response. Curcumin’s antioxidant power helps to keep fish oil fresh and inhibit it from oxidizing both in the bottle and in the body. But, according to a large and growing body of research, that’s not all curcumin does. Curcumin also supports bone health, provides antioxidant protection at a cellular level- including heart and brain. It helps promote healthy skin, supports eye health, provides immune system support, supports joint health, supports healthy liver function, balances digestive health, supports healthy blood and circulation. Curcumin helps maintain normal cholesterol levels, assists the brain’s health response to stress, provides support for the female reproductive system, helps maintain blood sugar levels already in the normal range. Consult your physician before using this product if you use blood thinners, or anticipate surgery as fish oils may have a blood thinning effect. Our triple guarantee means you can try Triple Power Omega 3 Fish Oil risk free. And you are guaranteed to improve your health or get your money back! Guarantee #2: We guarantee it will be fresh and burp free, or we’ll refund your purchase price immediately. Guarantee #3: if you don’t improve your omega 3 levels in 90 days, we’ll give your money back! Take our “90 Day Oil Change” Challenge! Low cellular concentrations of omega 3 have been linked with cellular aging. Higher cellular concentrations are associated with greater health and longevity. Also improved brain and cardiovascular health. 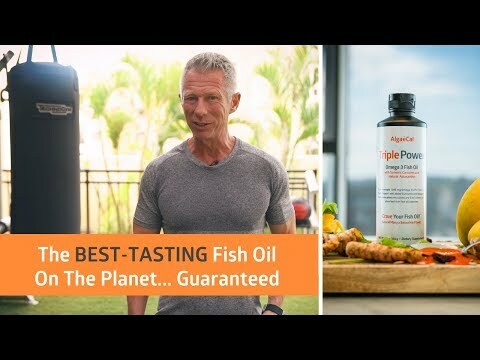 Triple Power’s unique profile will significantly increase your omega 3 blood levels in just 90 days if you take it as directed. 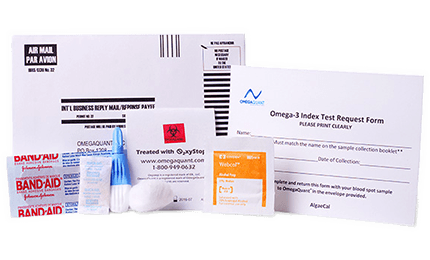 OmegaQuant Laboratories has developed a simple fingerstick blood test to measure the percentage of omega 3 in your blood which is a good indicator for how much omega 3 is in your cells. Some organs especially need larger concentrations of omega 3 such as your brain, heart, eyes, skin, joints and more. For best health, blood levels of 8% or more is the goal. 4-8% is intermediate, and lower than 4% is undesirable. To perform an “oil change” in your body it takes about three months when you consume two tablespoons of Triple Power Omega 3 daily. What can you expect? You’re likely to see an increase of 2 percentage points or more. For instance, if you’re starting at 3%, you can expect to achieve omega 3 blood levels of 5% after three months. And increasing your omega 3 blood levels by 2 percentage points translates to about a 20% increase of omega 3 in your cells! How can you take part in the 90 Day Oil Change Challenge? Be sure to order 2 Omega Quant tests along with 6 bottles of Triple Power. Test your blood with a small finger prick on day 1, and again 90 days later. If your second score doesn’t show improvement, send us your test results. And we’ll promptly refund the cost of your entire 6 bottle purchase. The “90 Day Oil Change Challenge” is open to individuals whose omega 3 levels are below 8% on your day 1 test. (That is almost everyone!). While you’ll most likely see an increase of 2%, depending upon where you started you may need more time to achieve the desired 8%. If that’s the case, continue two daily doses for an extra 2 or 3 months. Once you reach 8% maintain your status easily with 1 tablespoon per day. Guarantee #1: this will be the best tasting fish oil you have ever tried, or we’ll refund your purchase price immediately.